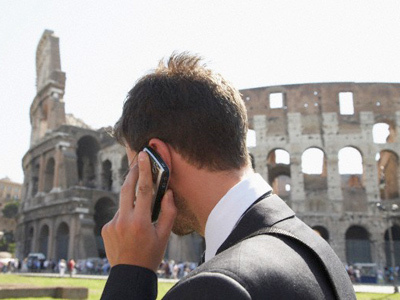 The Italian Supreme Court has ruled there is a causal link between mobile phone use and brain tumors in a landmark case. The ruling has set a legal precedent that could potentially trigger a deluge of lawsuits. Innocente Marcolini, a 60-year-old retired businessman argued that the excessive use of his mobile phone for around six hours every day for 12 years caused a benign brain tumor that left his face partially paralyzed. The Italian court ruled in the businessman’s favor, conceding that there is a “causal link” between phone use and the development of the tumor. Marcolini’s tumor was located on the trigeminal nerve, close to where his cellphone touched his head. Although the tumor was non-cancerous, it endangered his life as it could have spread to the carotid artery and blocked one of the main blood vessels to the brain. In his case he argued that the electromagnetic radiation emitted by cellphones can damage cells, making tumors more likely to occur. “Finally a correlation has been officially recognized between electromagnetic waves and development of tumors in spite of the anti-alarmist propaganda and research financed by mobile phone manufacturers,” Levis told the Corriere. He stressed that after working on several case studies the relationship between the use of mobile phones and the increased risk of brain tumors is proven. "It'll open, not a road, but a motorway to legal actions by victims. We're considering a class action,” Levis told UK newspaper The Sun. Currently the World Health Organization classifies mobile phones as “carcinogens” and lumps them into the same category as coffee and pesticides.